Home » Made in China? Trying to live a more sustainable life can become an overwhelming prospect if you try to do everything at once. I have found, for myself, that I should try and focus on one thing at a time and then instill that change into everyday life. For me, 2012 was a change in eating habits and trying to source local items and to also stick closer to a seasonal diet and not buying things willy-nilly. I’ve tossed ideas around for a few months about what was important enough to warrant being a year project. 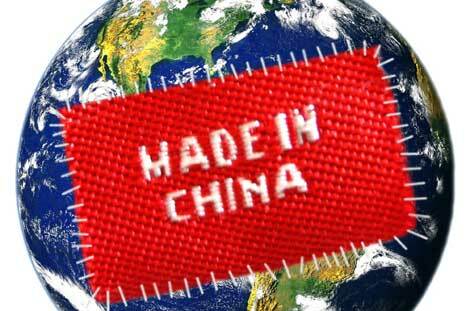 I’ve decided that this year’s project is to reduce as many products I use that are made in China. That’s not to say that Bangladesh, Thailand, Haiti and some of the other countries where imports come from are safe either. I guess I’d been going around with my head in the sand for a few years but I started noticing items made in China infiltrating some of the better ladies’ fashions. And, during my short stint in the dry cleaning industry, I witnessed items coming back melted or shredded because of the cheap materials used these days. It was hard to convince someone that they had been duped by the manufacturer making their expensive items. I find it sad that there is no more pride in product and most everything is done in the name of the Almighty Dollar. For myself, I think I can safely predict that this will result in savings, as there won’t be so many different things to buy. It will entail a little more time needed for shopping as labels will have to be read and analyzed. One of the biggest deceptions is the difference on whether a product is “made in Canada or the U.S.” or if it’s “packaged” in Canada or the U.S. If something is packaged in either country, it could still mean that the products in the package come from wherever. The wine industry has to reveal whether or not the wine is made with local, international or mixed grapes – shouldn’t all products be as revealing? I discovered that there’s even a difference in the quality of products we receive here in North America that are made in China and the quality of products that Chinese people have to choose from – that are made there in China. A friend of mine has hosted numerous high school students from China and one of these students pointed this out. I believe this is what helped me decide to try and avoid these products because it bothered me that the companies receiving these products are complacent enough to be satisfied with shoddy workmanship and to also expect us to accept it. I came across a Facebook page that supports just this very thing and I’m hoping to see how others are doing on their quest. If you’d like to join me on this journey, I’d love to share the trials and successes. Have you ever tried to help reflect change in something you do? Do you try a lot of things at one time or do you find one or two to focus on? I would love to hear any things you have done. My sister makes it a point to avoid buying things from China. It’s tough when we buy gifts for my niece as we have to find products not made in China. My niece (who is 3) will look at the toys tag to make sure it isn’t made in China. It’s hilarious! Jon, that is too cute! I think that also says something about how aware your sister is to it and expresses it…:-) It’s really tough to find things but I’m turning it into a game. I’ve started doing this with food products – trying to check the labels can be challenging. One thing I will NOT buy is snow peas from China – heard horror stories about how they are grown. Very good article. I have come to the conclusion that buying local is about the only way to find a lot of items. I have, over the years, bought pottery at local flea markets to use. But it is hard to find a lot of products not made in China. I decided to not shop at Wal-Mart a few years ago because of poor quality. Good luck in the shopping endeavor. I completely support your goal of reducing Chinese made goods, and reducing what we buy that is imported has been an element of life for my wife and I for a couple of years now. It is TRULY amazing what you learn if you start reading labels about where the products you buy are made and how they are distributed. China has displayed a total and complete lack of concern over the safety or healthfulness of products, including food products, they export. I have been involved in effecting change a few times – maybe not on a global scale, but at least one was a state-wide reform. I find it most effective to focus attention on one issue at a time. I have a hard time making sure my facts are straight if I’m campaigning for several issues, and what will get you shot down faster than anything else is getting caught disseminating erroneous facts. Even if it’s an honest mistake, the loss of credibility can stop you dead. Thanks Allan….I appreciate the support. It seems a lot of people are really put out with this problem. You’re so right about correct facts…..and like you, need to focus on one thing & try to do it the best I can. Thanks for the comments.